Good vision plays a major role in our ability to care for ourselves and carry out all the activities we enjoy in our everyday lives. The eye is an important sensory organ that makes vision possible. Our eyes usually work so well that we are unaware of how much we rely upon them each day. People often take good vision for granted until it is hurt or made worse in some way. Poor vision and certainly blindness have a large impact on nearly every aspect of a person's life. Close your eyes for a minute. Then think about how difficult it would be if you could never open them again. Doing simple tasks like getting a drink of water, climbing in or out of a car, or bathing would no longer be simple activities. Completing our daily routines is something we take for granted when our vision is good. But with sudden or even gradual loss of vision, the importance of good eyesight becomes apparent. This course is designed to introduce the paraprofessional to how the eye functions. The course will also address the eye changes that occur due to aging, disease and injury. Participants will also learn about care issues for the visually impaired. Identify the aide's role when caring for a person with a visual impairment. Name the basic structures of the eye. Compare and contrast myopia, hyperopia and astigmatism. State at least 3 different general care considerations for a patient with visual impairment. 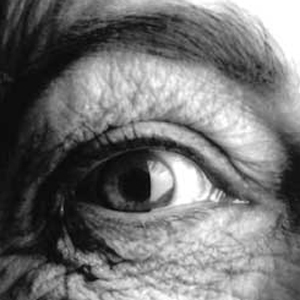 Recognize changes that occur in the eye with aging. Identify common vision problems/conditions related to aging. Identify common eye conditions related to disease and injury.